Riverdale's second season has introduced fans to a lot of new things, including the show's first openly bisexual character, Toni Topaz (Vanessa Morgan). And according to Morgan, being able to bring that representation to life has been a great experience. In a recent interview with Cosmopolitan, Morgan discussed how she found out about that reveal, and how happy she's been to play Toni true to her comic origins. "I actually didn’t know they were making Toni bisexual until the press release, but it was something that I knew from the comics." Morgan revealed. "I was so excited when I found out. I find in TV, you don’t see bisexual [characters] a lot. When people see "bisexual," they still confuse it with promiscuity, which is so wrong. So I was so pumped to be the first bisexual on Riverdale and just normalize that for viewers." As fans will remember, Toni was confirmed to be bisexual in 'Chapter Nineteen: Death Proof', when she brushed off a romantic encounter she had with Jughead Jones (Cole Sprouse) by revealing that she's "more into girls". In a way, Toni isn't Riverdale's only bisexual character, with Moose Mason (Cody Kearsley) romantically linked to both Kevin Keller (Casey Cott) and Midge Klump (Emilija Baranac). And while its still a relatively new revelation (and her sexuality isn't officially confirmed), last week's episode saw Cheryl Blossom (Madelaine Petsch) having some pretty strong romantic feelings for Josie McCoy (Ashleigh Murray). As Morgan put it, this only further shows the strives that Riverdale has made in showing all different types of diversity. "I’m super pumped to be part of a show that’s so diverse. It’s casting characters that every person can relate to — having bisexual and gay characters, all ethnicities." Morgan added. 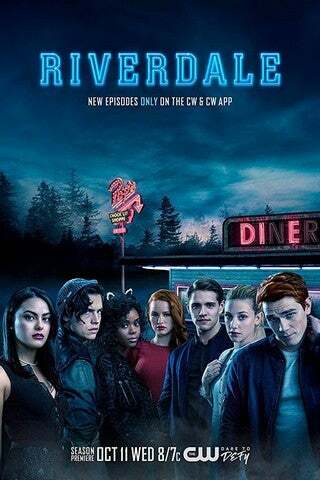 "Riverdale is up to date with what is the new world and what is 2017. A lot of shows should follow suit, because there are a lot of shows where they don’t have that. They don’t have anything! Growing up biracial, I didn’t have someone to look up to watching TV or movies. Halle Berry was the closest one who looked like me. I’m happy to see more biracial people on screen, and I’m happy to represent for the little girls who didn’t have someone who looked like me on TV."